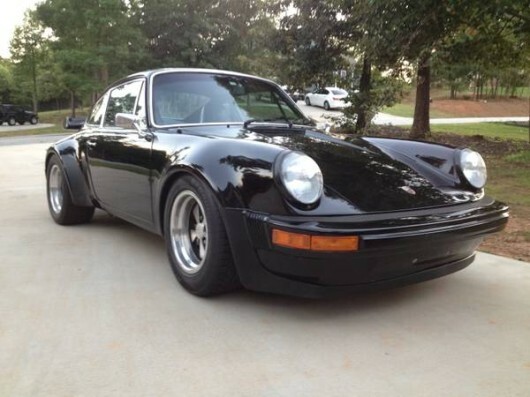 Found here on eBay is my very original 1972 Porsche 914. I’ve been the caretaker of 914 #4722909726 for the last 10 years and we’ve been through our fair share of mountain roads and road trips. 914 09726 started life in Lander, Wyoming and then headed east to Dallas, Texas. 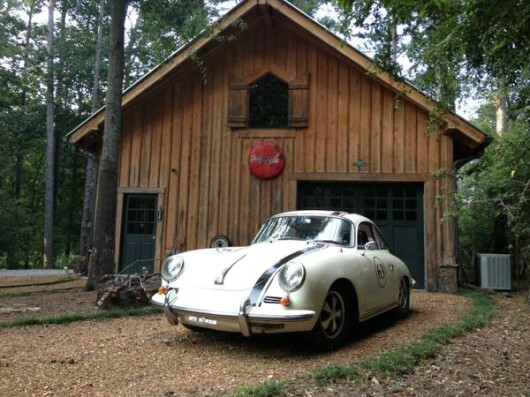 I became its proud owner in 2007 and brought it to Athens, Georgia. 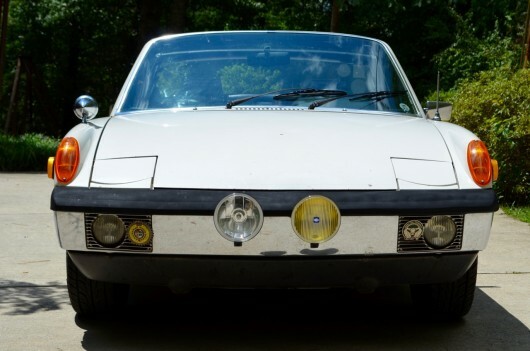 The 914 still wears its original Light Ivory (L80E) paint that shows a nice patina. The original Pedrini wheels are shod with Bridgestone Potenza tires that have lots of life in them. The original black interior is in phenomenal shape considering the 44 years that it has seen. When I bought the car it still wore its original fuel injection that will accompany the sale. I replaced it with a pair of Weber 40 IDF carburetors soon after for a bit more power. These carbs breathe into a 1.7l block that has been built out to 2.0l specs. 94mm pistons mated with 2.0l heads and a mild cam make this Type IV motor scream. The original heat exchanges are still present so it has perfectly functioning heat. At the back a new Bursch muffler lets everything exhale nicely. 914 09726 has recently benefited from an engine out service and reseal. New piston rings, jug rings, pushrod tube seals, main seals and valve cover gaskets were installed. The valves have just been adjusted and fresh oil and filter added. This motor starts easily and pulls strongly. Triple digits on the highway are reached in a breeze yet it will still get 30mpg when driven conservatively. The original tail shift 901 gearbox has been swapped for the newer, more precise side-shift unit. It shifts well into all five gears plus reverse and the clutch has plenty of life in it. 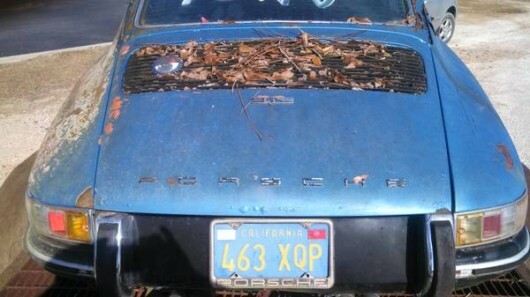 Rust can be a killer on these old Porsches. 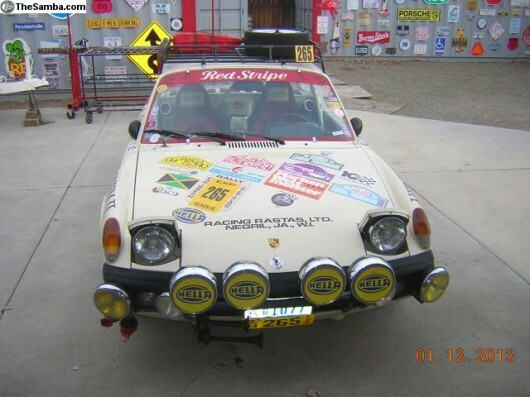 Due to its western origins this 914 shows very little car cancer. The floors, suspension mounts, rocker, and bottom of the firewall are all solid and don’t show any signs of rust. The beloved “hell-hole” underneath the battery tray has a 2.5” hole on the inner portion but the frame and engine support are all sound without rust. 914 09726 was originally fitted with dealer installed air conditioning. It has since been removed and the hole underneath the spare tire where the condenser resided has been patched. 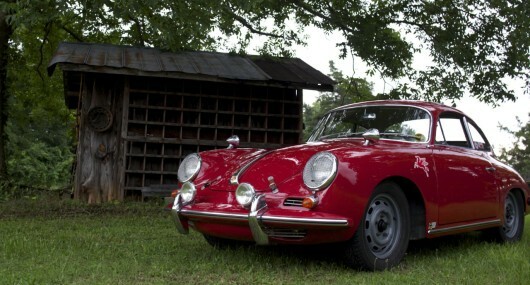 The 356 and 911 craze of the last few years has put these cars out of reach for most enthusiasts. 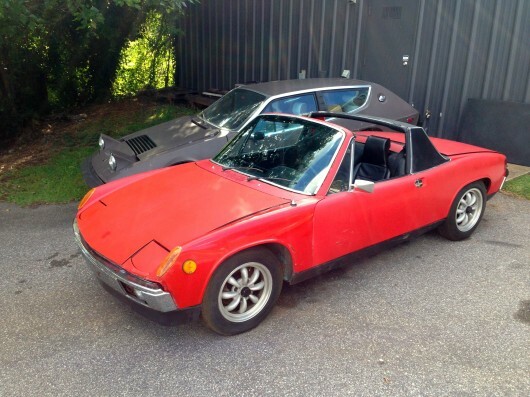 The 914 represent the last of the affordable air-cooled Porsches. The mid-engine layout makes these cars handle like they’re on rails and its VW roots make it efficient and easy to work on. Feel free to email with questions or to arrange a time to come see 914 09726. 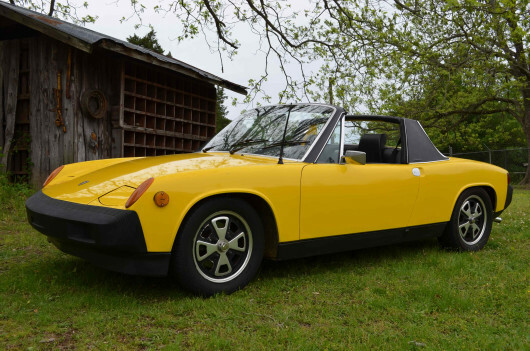 Found here on The Samba is a very original 1975 Porsche 914 1.8. 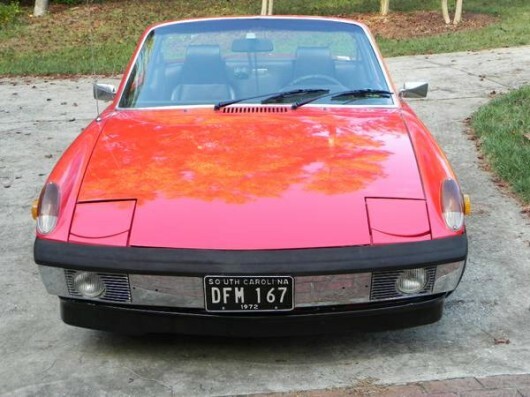 This 914 was originally sold in Pensacola, Florida and has spent its life in the Sunshine State and Georgia. The car still wears its original Laguna Blue color (paint code L50C) although it has had one respray. 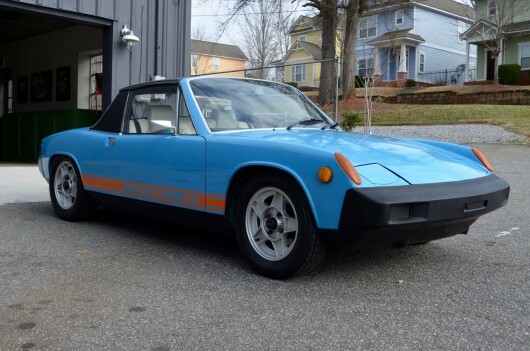 The 914 features rare white vinyl seats, center bolster and door cards, which offset the blue nicely. The stitching at the center of the rear bolster has pulled slightly and there is a ¼” rip on the upper passenger door card. Other than that, the interior is in great shape. The original grey carpet makes a nice contrast and shows very little wear. The factory Blaupunkt AM/FM radio is present and works although it is slow to turn on. All of the gauges and lights function as they should. The mileage is 112,131. I have a stack of records dating back to the cars’ delivery in August 1975 including the original window sticker from Bill Campbell Porsche + Audi in Pensacola. The original 1.8 liter Type IV motor is present and retains its Bosch L-Jetronic fuel injection. The 1.8 pulls nicely and cruises at highway speeds with ease. The side-shift Type 901 5-speed transmission shifts in all gears and the four-wheel disc brakes stop well with no brake fade. Period correct German ATS five-spoke 15” wheels are wrapped with Bridgestone Potenza G019 Grid 195/65R15 tires that have very few miles on them. Originally an A/C equipped car, the condenser is still mounted in the front trunk however the rest of the system has been removed. The shock towers and floorboards are in great shape. Rust present is a silver dollar-sized area of surface rust on the passenger side rear fender, slight surface rust in the rear trunk (no holes) and a hole at the base of the passenger side firewall.This 914 runs and drives great and is perfect for a spring trip to the mountains or your favorite section of twisty road. The car has a clear title and is in Athens, Georgia. Feel free to email with questions. $11,500 obo.